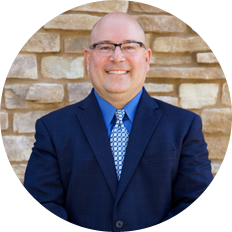 With over 20 years of experience in the mortgage industry, Mike is a seasoned business executive, well versed in every imaginable aspect of mortgage banking. He has a solid track record as a strategic, innovative and results-driven leader who emphasizes ethics, loyalty and enthusiasm in both his team and client relations. With Mike as the driving force, Capstone Direct has become a lender capable of offering clients a superior loan application experience while maintaining low rates. Prior to founding Capstone Direct, Mike served as the Senior Vice President of Secondary Marketing at Oakmont Mortgage which was eventually purchased by Ownit Mortgage Solutions. Mike graduated with his B.S. from Cal Lutheran University in Business Administration. Outside of the office, Mike is a devoted family man, married for 20+ years with 4 kids and is very active in his local church and the Ventura County Foster Care system. 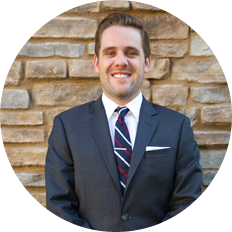 Brian Farwell is a licensed Loan Officer and also serves as Capstone Direct’s Director of Project Management. Brian prides himself on his upfront, honest and clear communication as he walks borrowers through the loan process. He has experience doing Conventional, Jumbo, FHA and VA loans. Brian’s background and experience has been heavily invested in efficiency, productivity and operations management. Prior to joining Capstone, Brian served as Vice President of Production at Go West Creative Group. Before that, Brian spent 4 years at Van Wagner Big Screen Network as the Director of Production executing live in-venue production for large scale sporting events including the Olympics, Super Bowl, Final Four and US Open of Tennis. Brian graduated with a B.A. in Mass Communications from the University of California, Berkeley. Brian lives with his wife in Thousand Oaks. He loves to travel having visited over 30 countries, is involved in serving through his local church and will never pass up a round of golf.